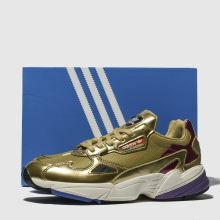 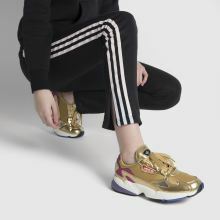 Go for gold and top the style scene wearing the latest adidas Falcon profile. 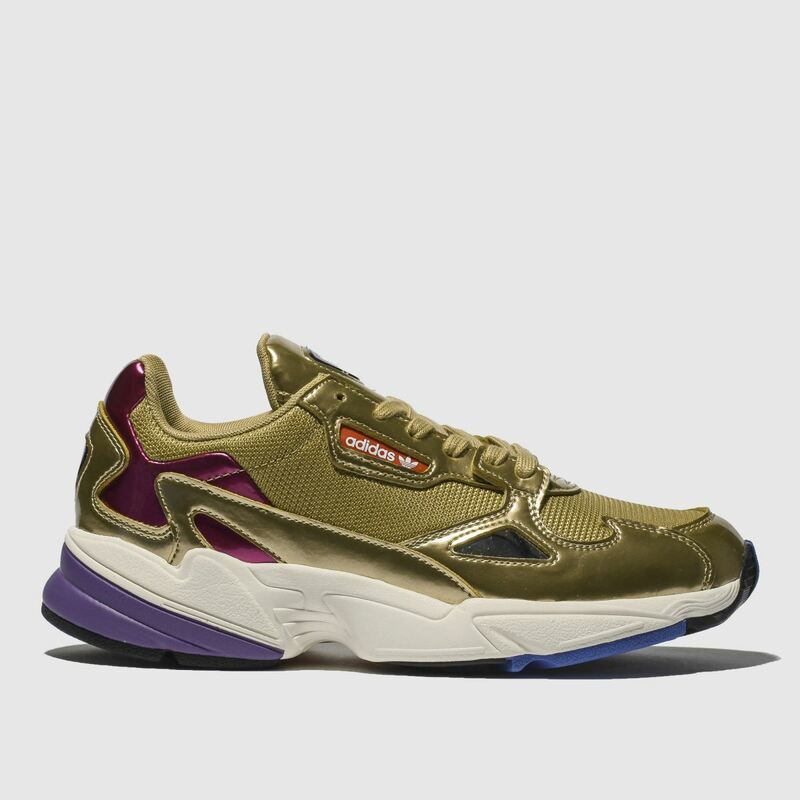 Boasting a shining man-made and mesh gold upper, this runner has serious style. 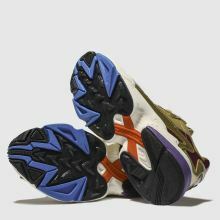 Pink accents and TORSION technology raise the game while a chunky sole completes.